Fruits and flowers. Herbs and spices. There is virtually no flavor that hasn’t been explored in the quest to create the sweetly alcoholic libation known as liqueur. The sweet factor is what distinguishes liqueur from your everyday spirit, but beyond that, it’s a free for all. Join Lesley Jacobs Solmonson, author of the upcoming Liqueur: A Global History, and Drinkmaster Samuel Houston as they delve into the world of this essential player in the modern cocktail kingdom. 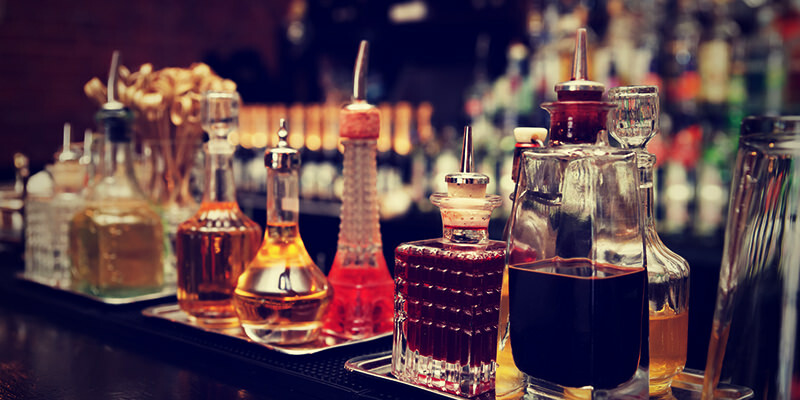 In its nascent stages, liqueur production can be traced to the alchemists who were searching for the Elixir of Life. Some of the earliest herbal liqueurs, such as Chartreuse and Bénédictine, were produced in French monasteries, while Italy created its own category of bitter digestifs known as amari. In the 16th century, we find liqueur production gradually left the medicinal confines of the monastic pharmacy and took on an altogether more recreational – and commercial – role. Then we flash forward to the Golden Age of Cocktails in the late 1800s, where distinctive liqueurs – from Crème de Violette to Maraschino – were an essential component in hundreds of cocktails. By contrast, more pop culture-styled liqueurs, among them Kahlua and Midori, dominated drinks in the 1970s and 1980s. Now, with the cocktail renaissance and enthusiasm of the craft spirits community, the world of liqueurs has never been more diverse or exciting. Join The Museum of the American Cocktail (MOTAC) in tracing the history of our bibulous sweet tooth through cocktails and conversation. Admission includes a tasting of a wide range of liqueurs, three cocktails, and a selection of gourmet small plates courtesy the kitchen of LA's celebrated Spring Restaurant. Tickets are $35 for National Food & Beverage Foundation (NatFAB) and USBG members, $40 General Admission in advance, and $50 at the door (if available). NatFAB membership is available to all at natfab.org/membership. If you have any issues with the ticketing software or would prefer to make your reservation on the phone, please call us at 504-267-7490 during the week or 504-569-0405 on weekends. All sales are final. There are no refunds, although tickets may be exchanged for a future MOTAC seminar of the same price, pending seat availability and venue capacity, if the request is made within 72 hours of the event for which reservations are held.